Response from Charles Tyrwhitt: It's ever so disappointing that these chinos did not prove to be a good fit for you, but thank you for letting us know. While we always hope customers will be delighted with their purchases, we have a very simple and straightforward returns process in place just in case this doesn't prove to be true. I hope you will give us another try in the future - perhaps later in the year once our new 'revamped' trouser range has been launched! Difficult to iron. Not available in 29-inch length without paying for alteration. Response from Charles Tyrwhitt: I'm sorry to hear about the issues you are having trying to care for your chinos. WIth the softer finish on these chinos, it should be easier to care for them. Please take the opportunity to return these for an exchange or refund. 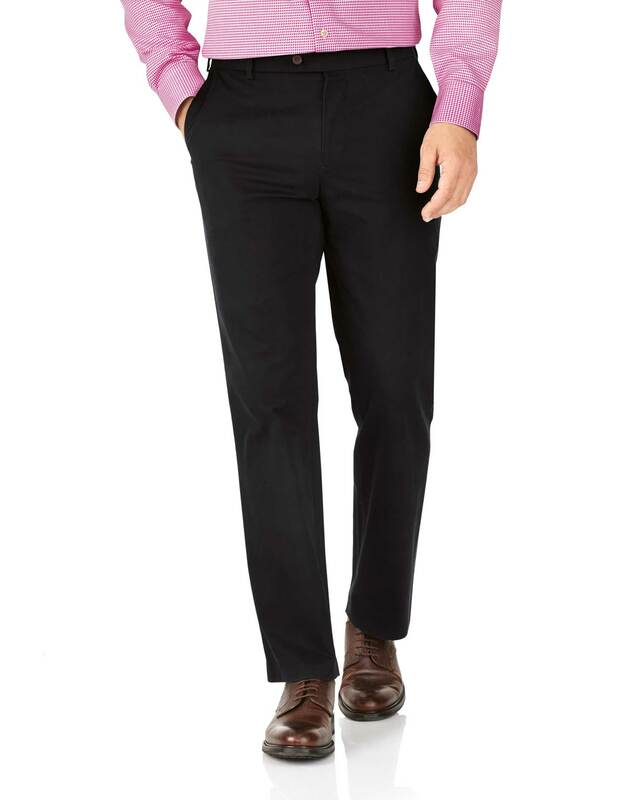 We also do offer other chinos in a 29 inch length. Please, take a look at our website and use our filtering system to show your size requirements. Response from customer: Thank you for the offer to return the chinos, but I prefer to keep them. They are the first model I have received from Tyrwhitt that has buttons on the rear pockets, so they are the first with which I can travel comfortably without fear of pickpockets. That benefit offsets the minor care problem. I will decide in the future whether to order this model or a different model when I need more. Not a good fit: stretch feature not what I expected. Response from Charles Tyrwhitt: I'm sorry to see this pair of chinos was not to your liking in terms of the fit. We are working hard behind the scenes to improve our chinos based on feedback such as yours, with a brand new range launching later this year! I hope you will give those a try once they come out, as I'm confident they will be much more to your liking. In the meantime, please do return these to us if you won't be able to enjoy them. Great fit in color needed.